Exceptionally easy to use and sporting a wide range of useful features and controls, the Tomy Digital TF525 provides an interference-­free wireless connection allowing you to monitor your baby at all times and enjoy greater peace of mind. Using DECT technology, it doesn't interfere with Wi-Fi networks, and it provides a range of up to 350 metres in optimal conditions. The baby unit features a dim but useful nightlight which you can control remotely without worrying about disturbing your baby, while a selection of lullabies will help to sooth your baby back to sleep. For additionally reassurance, the parent unit will sound an alarm whenever it is out of range or running low on batteries. 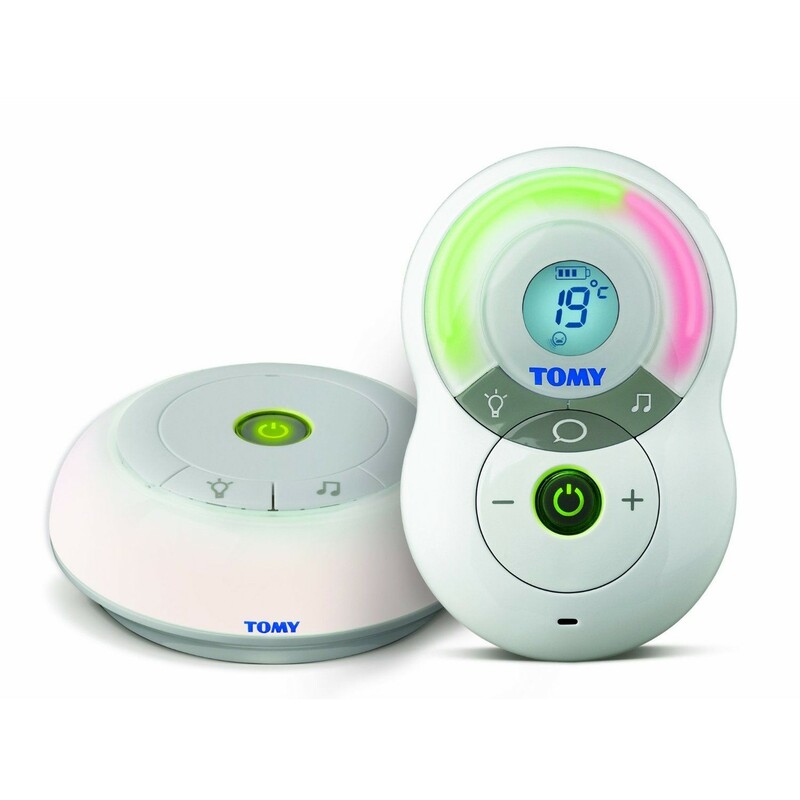 Backed by a two-­year guarantee, the Tomy Digital TF525 offers ease of use and peace of mind to any parent.